What to do when in Chengdu? Eating vegan hot pot, of course! 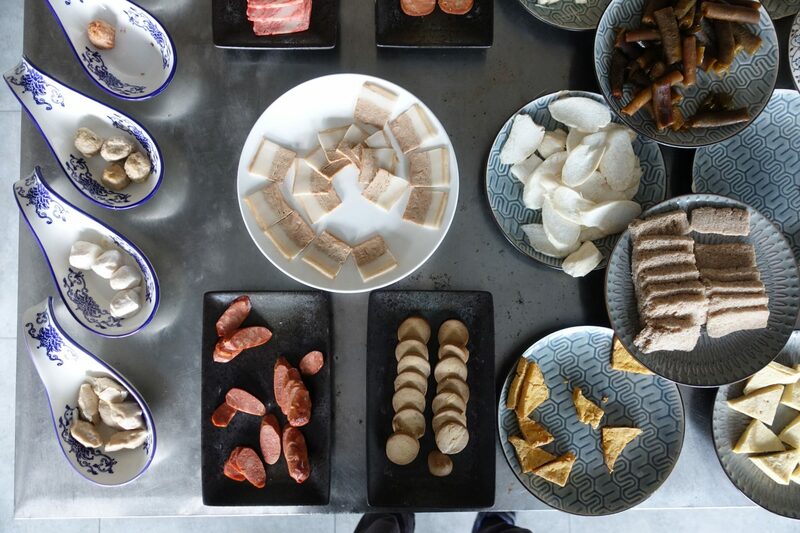 One of the most famous variations of hot pot is the Chongqing hot pot, to which Sichuan pepper is added. While I like for my food to be a little spicy, I wasn’t quite ready for a mouth-numbing spicy hot pot. 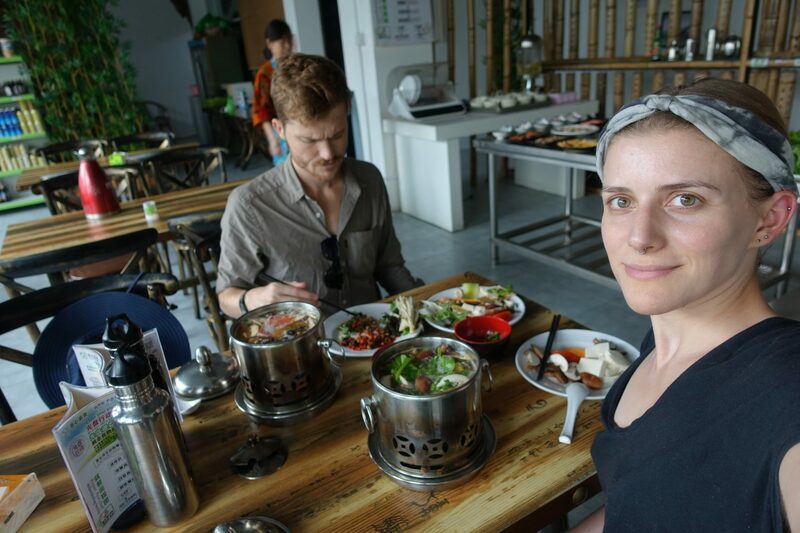 After a bit of research on where to get vegan hot pot in Chengdu, I decided on Veganheart Vegan. Veganheart Vegan offers all-you-can-eat hotpot and prices start at 29 RMB. We decided to go for mushroom-based hot pot for 29 RMB and ordered sauce and spices for 5 RMB with it. Which means that we each ended up paying 34 RMB. To our surprise, we got informed that we would both be getting our own mini hotpot. Usually, hot pots are shared by two or more people. I was just really excited to be having a vegan hot pot and didn’t mind the personal hot pots at all. 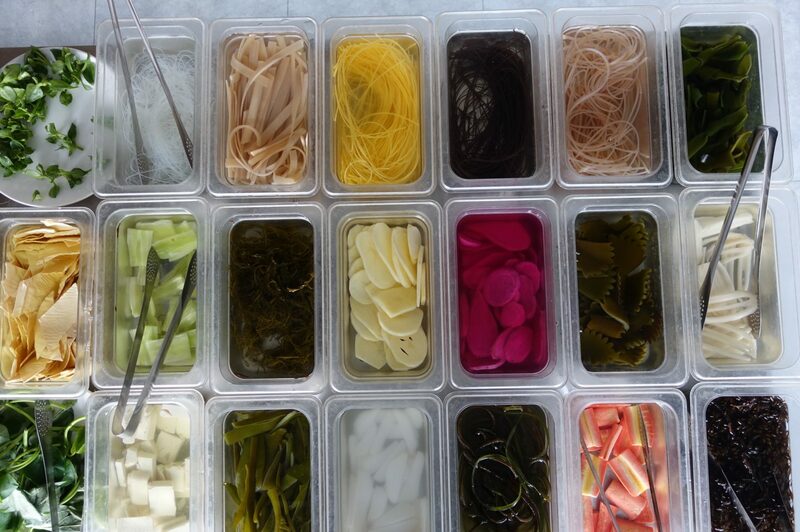 A huge selection of vegetables! There was a huge table filled to the brim with vegetables, mock meats, sauces, and spices. There was an incredible variety of foods to choose from and everything tasted great and fresh. It was wonderful to see such a huge selection of greens! Those, the mushrooms and baked tofu were some of my favorites. If you’ve been with me for a while then you know that I am not really into mock meats and I, therefore, mainly picked vegetables. That being said, my man really enjoyed some of them. So whether you are into it or not, there’s definitely something for everyone. The selection of spices and sauces is also worth mentioning. 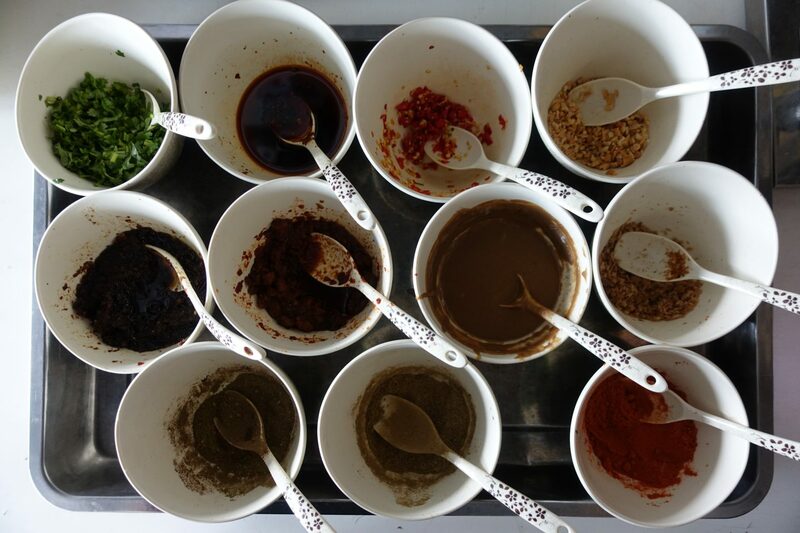 An extra 5 RMB gets you heaps of spices and sauces and I loved mixing them up and dipping my food in it. If you are into spices, definitely add it when placing your order. I am so glad that I checked out the vegan hot pot at Veganheart Vegan. 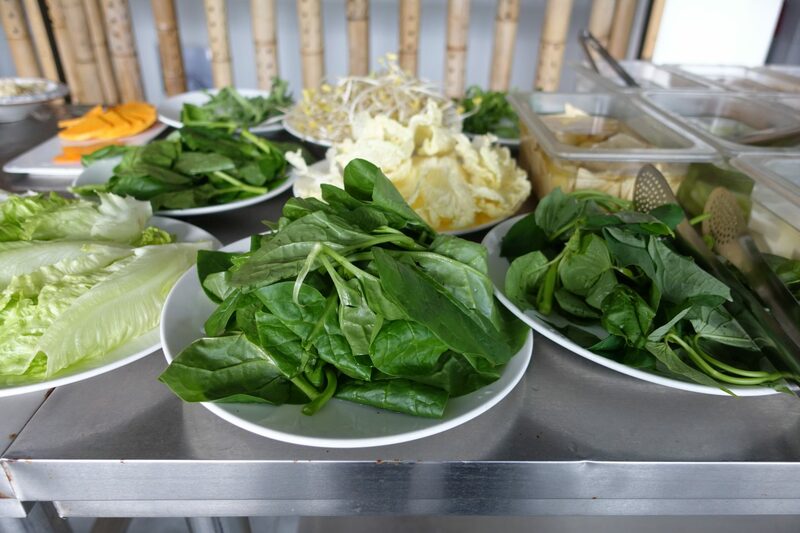 If you are looking for vegan hot pot in Chengdu then definitely stop by Veganheart Vegan and see if you like it. I highly recommend it! Looks amazing! I had hotpot twice at my boyfriend’s parents who are chinese. They were kind to make a separate vegan stock for me but it was the same pot that is divided in half and people where touching everything with the same chopsticks. I really had to get over myself and relax because usually I am a purist lol. I was wondering if you know of a place in Saigon or Vietnam where you can have vegan hotpot? Going there in September, super excited!